By Paolo Cisneros, The Sheridan Press. Reprinted with permission. Chamber Note: Sheridan Travel & Tourism is one of our partner organizations, with the two organizations working side by side for the continued prosperity of our community. The planners behind a new marketing strategy for Sheridan Travel and Tourism are hoping that a recently completed document will help unite the various taglines, images and logos that are currently used to advertise Sheridan, into a single comprehensive message that increases the flow of tourism dollars into the community. Largely the brainchild of STT executive director Shawn Buckley, the plan was recently approved by the nonprofit’s board of commissioners. Still a relative newcomer to his position, Buckley said the organization’s recent outreach efforts sometimes lacked a cohesive message. As such, one of the first major projects of his tenure centered around crafting a unique logo for Sheridan and determining how best to present that image to a national audience. 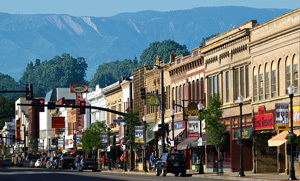 By drawing the connection between the city and the scenic elements that surround it, Buckley is hoping to differentiate Sheridan from other towns with similar historic and cultural value. “There are a lot of historic towns across the U.S. that don’t have the aesthetic that Sheridan does,” he said. Buckley said he wants Sheridan to take ownership of the Bighorns when it comes to marketing efforts, no matter the medium. When it comes to distributing that message, Buckley’s mentality is decidedly web-first. His goal, he said, is to create a functional online ecosystem in which potential visitors can plan all elements of their trip including hotel bookings, dinner reservations, event tickets, and other amenities through a single platform at a newly revamped STT website. Buckley hopes the new site, which will heavily emphasize visual elements as a means of retaining people’s attention, will provide his organization with more data on how visitors plan their trip, in addition to providing a more comprehensive environment for them to do so. Buckley said he is hoping to launch the new site sometime in May. In addition to that effort, STT is currently working to develop a mobile application that will allow visitors and businesses alike to find and notify each other of events such as happy hour specials. Being developed in conjunction ith tourism officials in Johnson County, Buckley said he expects the new tool will allow visitors to make early decisions about where to visit in Sheridan County while also keeping them up to speed with lower-profile events around town. “It provides a cutting-edge platform for businesses to speak to and reach out to customers who are right in the immediate area,” he said. Also included in the the STT marketing plan is information about visitor demographics, print advertising strategies and statewide changes in the tourism industry. In addition to working to finalize the revamp of their website and complete work on the new mobile app, the STT board and staff are currently in the early phases of reaching out to local businesses as a means of engaging them with the newly refined strategy. The organization is also planning a May 8 kickoff party for National Tourism Week at the Timberline Room of Black Tooth Brewing Company.